I love this time of year here in California. It is not uncommon to pull up to a stop sign and there be a little farmer selling bags of fresh picked avocado's for $5. I snag a bag any time I can. They grow abundantly here, and it is not uncommon to drive through a neighborhood and have boxes of them on the curb labeled "free". That is what I used to do with my lemons and limes. I used to be afraid of Avocado's because of their fat. After having Cancer and the doctor telling me it is a perfect fat. A fat my body needs. I was so happy! I use them in everything from ranch dressing, to salads and sandwiches. More often than not I don't even need mayo or a sauce. They make everything creamy and delicious! Put the onion, garlic, chiles,lime juice and Avocados in a bowl. Use a large serving fork and mix up the ingredients. 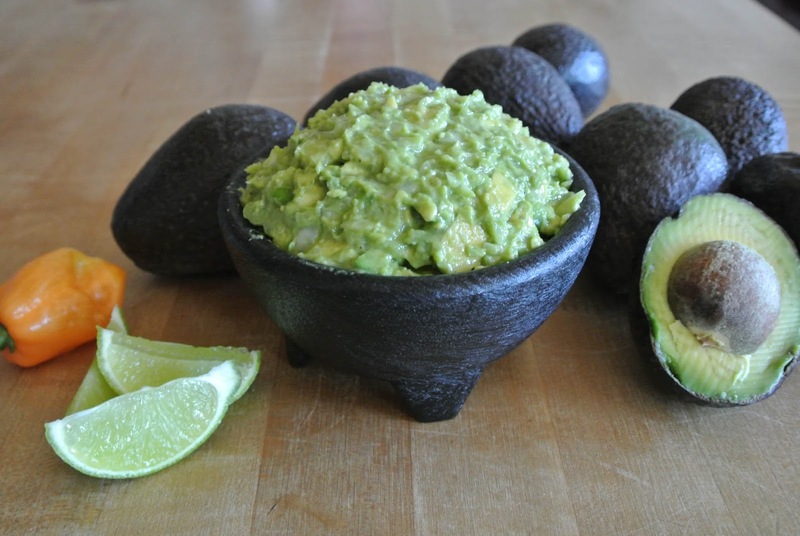 Then press the fork around the sides of the bowl mashing the Avocado. This will make a chunky guacamole. If you like Cilantro, by all means add it. We love it, but I know for some people it is a cringe ingredient. ( I will never understand that way of thinking ). But I aim to please. There you go! 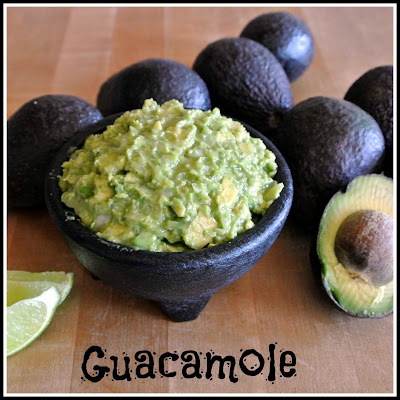 The best guacamole ever!